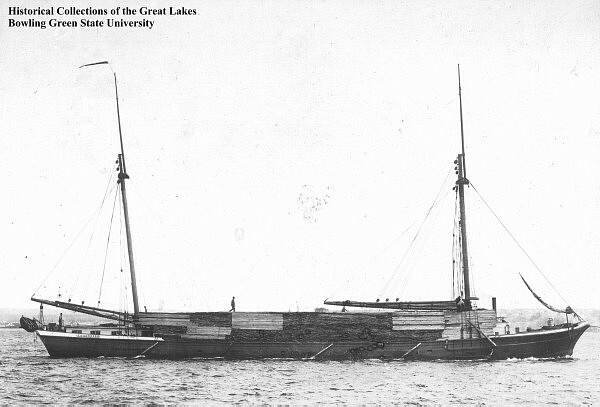 Built and launched in 1854 from Sheboygan, Wisconsin, the F.B. Gardner was originally designed to be a brigantine. At an original length of 137 feet and a weight of just over 400 gross tons, she was rebuilt twice in her five decades of service to the Great Lakes. In 1866, she was rebuilt/redesigned as a bark, and in 1872, length was added and she was redesignated as a schooner. Despite her regular facelifts, the F.B. Gardner was a proud vessel and served on the lakes for longer than most. She finally met her fate in 1904 when she caught fire and sank just two and a half miles from shore. She has come to rest for eternity in 55 feet of water and is a real treat for divers of all levels to explore. Divers can still view her ribs, windlass, and other equipment during their long, shallow dives. We visit the F.B. Gardner from Port Sanilac on the Go-Between.